Part of the 'Portraits' film section. 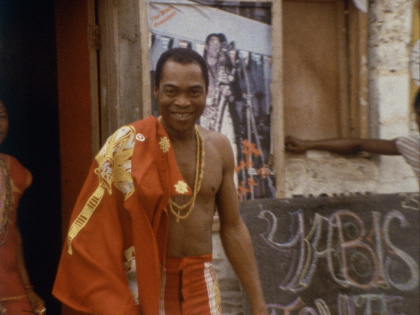 Finding Fela tells the story of Fela Anikulapo Kutiʼs life, his music, his social and political importance. He created a new musical movement in Afrobeat, and used it as a forum to express his revolutionary political opinions against the dictatorial Nigerian government of the 1970s and 1980s. His influence helped bring a change towards democracy in Nigeria and promoted Pan-Africanist politics to the world. 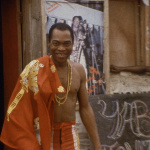 The power and potency of Felaʼs message is still completely relevant today and is expressed in the political movements of oppressed people, embracing Felaʼs music and message in their struggle for freedom. Rikki Stein, Fela Kutiʼs longtime manager and associate producer of the film, will be present for a Q&A session after the screening.